Using our experience and expertise, we make sure your website is the perfect shop window to maximise your online success by delivering the results you need. 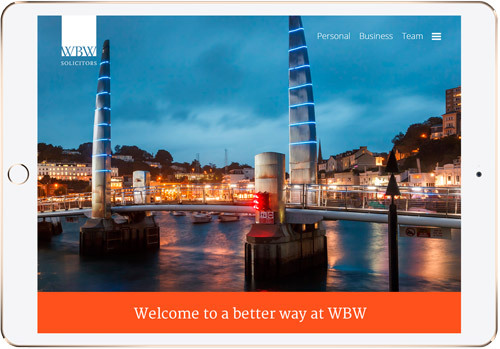 Our websites are developed to evolve with you and your business, allowing you to manage and update content yourself. Since 2003 we have delivered well designed and engineered websites that are quick, mobile responsive and user-friendly. We listen and research your industry thoroughly in order to meet and exceed your expectations. Working from your brief, we provide custom designs that meet (and often exceed) our client’s requirements with eye-catching ideas. Utilising the latest web technologies and practices, your responsive website will be quick, secure and compliant. Easily update text, images, PDFs and links, with full control to create new pages, write articles and add galleries. Our developers are very experienced in using Wordpress and Magento for building brochure websites, online shops and web portals. We work with you to identify the right terms for your business and then drive you up the rankings to the front page! Connect all your devices to a professional email address to communicate with customers and access online from anywhere. Why should I use Hoot Media? Hoot Media has a specialist in-house web team, with the added benefit of a clear sense of marketing. Our team utilise the latest technology and trends to enable organisations to compete and succeed online. Our websites allow you to easily manage and update your website without limiting creativity or design. Hoot Media has worked with business in a wide range of industries. Our experience in website planning, design and development range from corporate and financial business to services, shops and charities. Aftercare support is very important and we encourage clients to email or call should they need additional help. The website is backed up twice a day and supported by 24/7 server monitoring and on-site technical support.